NSW has been established as a prospective state for gold exploration and production since the 1850s. It is the second largest gold producer in Australia with a gold endowment exceeding 3160 tonnes. NSW is large producer of gold and hosts a diverse range of opportunities for the discovery and development of gold deposits where gold is produced as either the principal commodity or as a by-product. The Lachlan Orogen of NSW has become a highly prospective region for porphyry copper-gold deposits. The prospectivity of the region has been enhanced by ongoing company exploration, the commissioning of successful mining operations and pre-competitive information provided by the NSW Government exploration initiatives. Most of the gold produced today is used in the fabrication of jewellery. However, because of its superior conductivity and resistance to corrosion and other desirable combination of physical and chemical properties, gold has also emerged as an essential industrial metal. 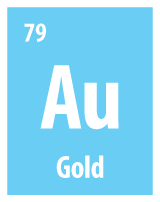 Gold performs critical functions in computers, communications equipment, spacecraft, jet aircraft engines, and other products. It also retains a unique status among all commodities as a long-term store of value. Until recent times, it was considered essentially a monetary metal. Most of Australia's gold production comes from open-cut mines that use large earthmoving equipment to remove waste rock and overburden that is covering the gold bearing ore, and then to mine the ore. Underground mining is carried out when gold ore is located so far below the surface that open-cut mining is not viable. NSW produced over 37 tonnes of gold in 2015-16, valued at about $1.9 billion. This accounted for 12% of Australia's gold production. Over the next five years, NSW is expected to account for an expanding share of Australia's gold production due to the development of several large scale gold mines and expansions of existing mines. Forecasts suggest NSW gold production will exceed 30 tonnes in the years to come. Read about Gold [2.18 MB] mineralogy and prospectivity in NSW. NSW remains under-explored with a range of opportunities for new discoveries. Discoveries continue to be made in both proven (brownfields) and greenfields provinces.